Two years ago, Igor van Gemert started the Alliander innovation satellite SIM CI , Simulating Critical Infrastructures. He brought together a team of physicists, mathematicians, GIS specialists and programmers. 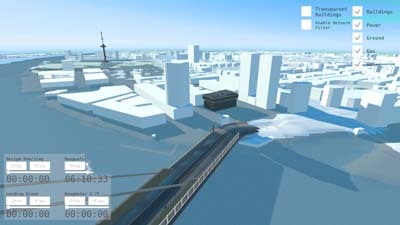 The goal: using 3D/VR simulations to identify and assess the weaknesses and risk inherent to critical infrastructures. The stakes for Alliander are clear: With nearly 6 million connections Alliander is the largest network operator in the Netherlands. It manages gas and electricity networks in Friesland, Flevoland, Gelderland and Noord-Holland. Faults and disruptions in the networks are a daily concern. Being able to anticipate on incidents, and in case of emergency, act with swiftness and precision, is crucial. Not only to confine direct and subsequent damage, but on occasions save lives as well. Currently over 60 bright minds work on the SIM-CI project. The initiative has grown into a cloud-based simulation platform which caters numerous scenarios for running maintenance, incident and accident simulations in 3D / VR. " We use hard science and smart technology to simulate the behavior of vital networks", van Gemert says. "Physical characteristics of the infrastructure, soil and environmental conditions, operational data, historical incident information, all available data is included in the underlying mathematical and physical models used in the simulations" explains van Gemert. "The impact of an incident on the environment and on other network structures is made visible in a 3D/VR simulation." 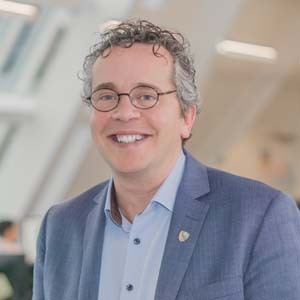 Van Gemert elaborates further: "The cloud model and the way the data is collected, processed and stored, enables us to run near-real-time simulations. In the control room, as well as in the field. During an incident, the field engineer on site, can use his smartphone to actually see what's under the ground. Using VR/AR projections to examine and query what other networks or elements are in the danger zone. Via a secure connection, the control room and field engineer can interact directly and work on a safe and sound solution for the situation at hand." "Simulation scenarios, visualizations and applications are modelled to real world situations and practices. "We have already launched pilot projects with several network operators. They provide us with historical incident information and current network data and hands-on experiences of people in the field. So academic models can be translated into valuable tools for managing and securing critical infrastructures", van Gemert concludes. SIM-CIs presence at the Resilience by Design SummitLab. The Utah Powder Mountain Summit will take place on 10-12 March 2017. Scientific Evidence for Complementary Currencies, INRIA 2014. The current monopoly of conventional money is a main source for unsustainable behaviors. New currency designs among which crypto-currencies, but not only crypto-currencies ! - can contribute to make the necessary shifts more smoothly. 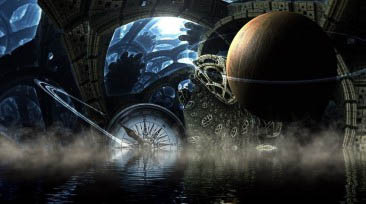 Within the global systemic crisis that we are now experiencing, our experts have been talking for some years about statistical fog to qualify the inability of todays tools to measure real economy, or even the way to manipulate them in order to match results to the political speech (or vice versa). Leaving aside the temptation to manipulate, this statistical fog also derives from the fact that the economy is evolving profoundly, and yesterdays indicators (GDP, unemployment, etc.) are no longer relevant in todays world. After a few vain attempts to transform these old time indicators, we are able to see new initiatives which we anticipate to be sustainable this time, and which in the short term will form some confusion before harmonizing themselves by 2025, pushed by international bodies such as the G20. The debates or proposals made within electoral campaigns show this sufficiently: only the GDP growth rate on the one hand and the unemployment rate on the other seem to count. This is hardly surprising in a system where work, as well as the increase in wealth, are both central. These two indicators have guided politicians for many decades and in many ways with quite satisfactory results. Nevertheless, if every growth point is more and more difficult to reach and the unemployment rate constantly stays so high, it is with a reason. Society is radically changing and these two indicators, which do not reflect those evolutions, are becoming obsolete. We shall see that their limitations have several causes: statistical on the one hand, political or ideological on the other, but above all and more fundamentally, those indicators do not originally measure the harmonious development of societies. They are so emblematic that they are obviously subject to intense political pressure and are constantly the subject of international comparisons. And here the first problems arise. How to compare economies using different currencies, the exchange rates of which are extremely volatile? We have already seen the perverse effects linked to the use of a single standard, the dollar: here we have a new illustration of that. 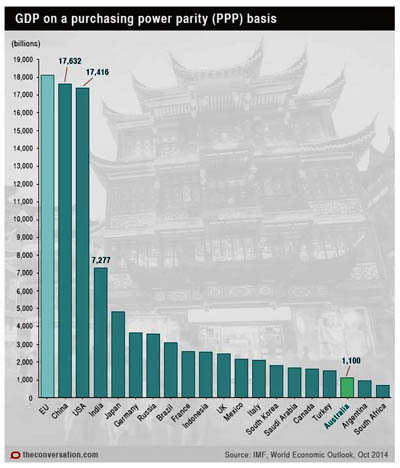 Thus, the United States is by far the largest country for its nominal GDP expressed in dollar termss, while being behind China in purchasing power parity (PPP). Fig. 1  The countries GDP on a PPP Basis, 2014. Source: The Conversation. Fig. 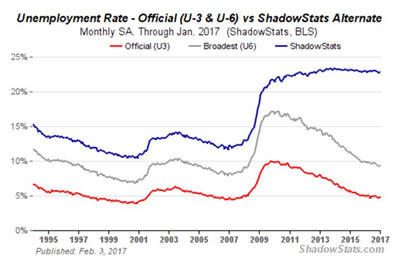 2  The unemployment rate in the US. Red: official / Grey: U6 / Blue: ShadowStats. We cannot resist the temptation to share with you this well-known GDP quotation of Robert Kennedy, made in 1968 : « it measures everything, in short, except that which makes life worthwhile ». Ecocapsule is a self-sustainable smart house powered solely by solar and wind energy. It allows you to live off-the-grid, with the luxury of a hotel room. Ecocapsule is your design way to independent housing. It can serve as a cottage, pop-up hotel or even as a charging station for electric cars. We have engineered the product from scratch to be as self-sufficient, practical and of great value, as possible. Cities in Sub-Saharan Africa are experiencing rapid population growth. Yet their economic growth has not kept pace. Why? One factor might be low capital investment, due in part to Africas relative poverty: Other regions have reached similar stages of urbanization at higher per capita GDP. This study, however, identifies a deeper reason: African cities are closed to the world. Compared with other developing cities, cities in Africa produce few goods and services for trade on regional and international markets To grow economically as they are growing in size, Africas cities must open their doors to the world. They need to specialize in manufacturing, along with other regionally and globally tradable goods and services. And to attract global investment in tradables production, cities must develop scale economies, which are associated with successful urban economic development in other regions. Such scale economies can arise in Africa, and they will - if city and country leaders make concerted efforts to bring agglomeration effects to urban areas. Today, potential urban investors and entrepreneurs look at Africa and see crowded, disconnected, and costly cities. Such cities inspire low expectations for the scale of urban production and for returns on invested capital. How can these cities become economically dense - not merely crowded? How can they acquire efficient connections? And how can they draw firms and skilled workers with a more affordable, livable urban environment? From a policy standpoint, the answer must be to address the structural problems affecting African cities. Foremost among these problems are institutional and regulatory constraints that misallocate land and labor, fragment physical development, and limit productivity. As long as African cities lack functioning land markets and regulations and early, coordinated infrastructure investments, they will remain local cities: closed to regional and global markets, trapped into producing only locally traded goods and services, and limited in their economic growth. 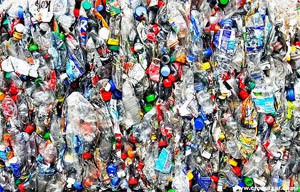 PlasticRoad's concept is in line with developments such as Cradle to Cradle and The Ocean Cleanup: the initiative to free the seas of 'plastic soup'. 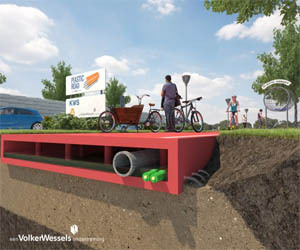 Recycled plastic is made into prefabricated road parts that can be installed in one piece. 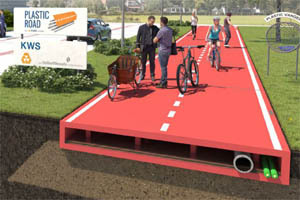 The prefabricated production and the lightweight design also make the construction of a PlasticRoad into a much simpler task. Roads can be built in weeks instead of months. It is also much easier to control the quality of the road (stiffness, water drainage etc.). The FIRE sector is responsible for todays economic polarization (the 1% vs. the 99%) via favored tax status that inflates real estate prices while deflating the real economy of labor and production. In March 2017 the European space agency ESA will launch another Sentinel earth observation satellite. Sentinel-2B will be launched from Kourou with ESA's lightweight launcher Vega. It will become the 5th Sentinel satellite on orbit. Sentinel 2 B will join its sister satellite Sentinel-2A and the fleet of other Sentinels launched as part of the Copernicus programme, the most ambitious Earth observation programme to date. Sentinel-2A and 2B will be supplying 'colour vision' for Copernicus and together they can cover all land surfaces once every 5 days. This way the sentinel-2 satellites are optimising global coverage and the data delivery for numerous applications. 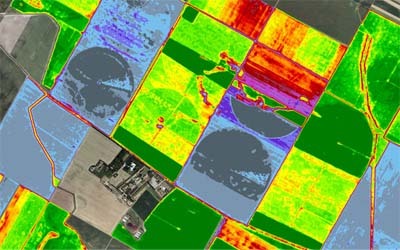 The data provided by these Sentinel 2 satellites are particularly suited for agricultural purposes, such as managing administration and precision farming. In the Czech Republic Sentinel data has been used successfully since last year. 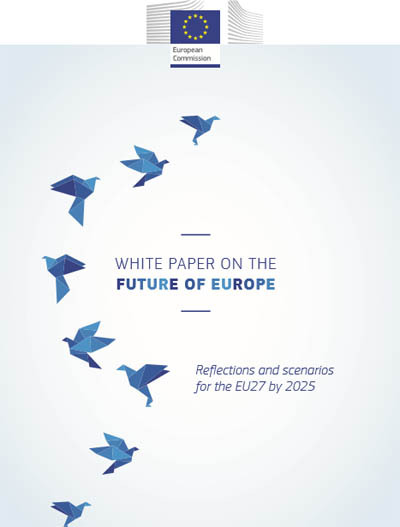 The White Paper looks at how Europe will change in the next decade, from the impact of new technologies on society and jobs, to doubts about globalisation, security concerns and the rise of populism. It spells out the choice we face: being swept along by those trends, or embracing them and seizing the new opportunities they bring. Europe's population and economic weight is falling as other parts of the world grow. By 2060, none of our Member States will account for even 1% of the world's population  a compelling reason for sticking together to achieve more. A positive global force, Europe's prosperity will continue to depend on its openness and strong links with its partners. 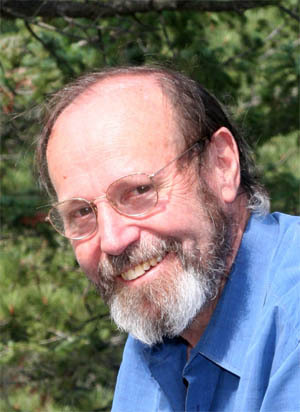 James Hughes Ph.D., the Executive Director of the Institute for Ethics and Emerging Technologies, is a bioethicist and sociologist who serves as the Associate Provost for Institutional Research, Assessment and Planning for the University of Massachusetts Boston. 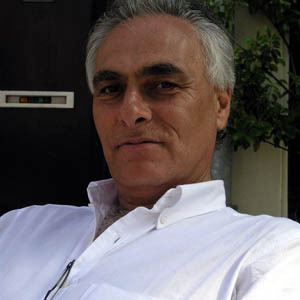 He holds a doctorate in sociology from the University of Chicago, where he also taught bioethics at the MacLean Center for Clinical Medical Ethics. Dr. Hughes is author of Citizen Cyborg: Why Democratic Societies Must Respond to the Redesigned Human of the Future, and is working on a second book tentatively titled Cyborg Buddha. 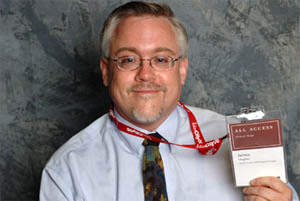 From 1999-2011 he produced the syndicated weekly radio program, Changesurfer Radio. The election of Donald Trump represents a growing crisis in capitalist democracy, which has failed to ensure economic security for middle classes squeezed by technological change and growing inequality.